I’m always on the search for the next great thing in the world of makeup. BB creams arrived on the scene pretty quickly and now CC creams are pushing their way on the shelves. Before I moved on to the next letter of the alphabet, I wanted to give one more BB cream a try. So, I decided to make one last stop on the BB train and give Bobbi Brown’s version a try. 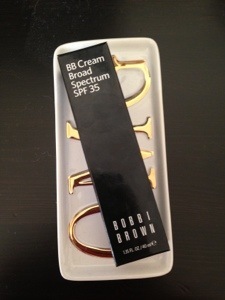 At $42, Bobbi Brown’s version is a bit pricier than other BB creams I’ve reviewed, but it is so worth it. I’ve found that I use much less of this product than other BB creams. It goes on so smooth and provides the best coverage I’ve seen while still managing to look natural. It moisturizes and protects my skin from even in the harshest, driest winter temps we’ve had so far. It isn’t oily and is virtually odorless, which was my major complaint with other creams. 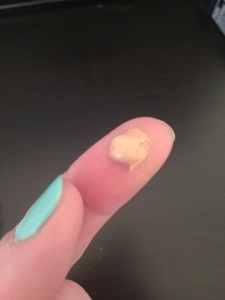 Below, you can see the texture is more moisturizer than makeup. I apply the cream by hand, no brush necessary, each morning with a touch of bronzer and blush for a natural, dewy look. If you’re looking for a bit more coverage for a night out or just a bad skin day, mix your BB cream with your foundation and apply it with a brush. The BB cream will help keep your skin moisturized while the foundation will you give you more coverage. 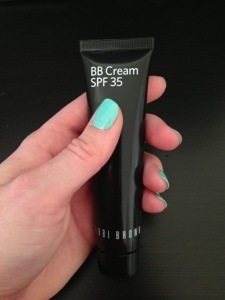 With the added bonus of SPF 35, this BB Cream looks good and does good too by protecting your skin from the sun. There are 5 shades available. The Extra Light was too pale even for my Irish skin so be sure to try the different shades on before buying. I saw this little gem of a quote this morning and couldn’t help but share it. I am guilty of the “it will happen soon” mentality. I’ve found myself on more than one occasion saying “as soon as this happens…I’ll do this.” Well, if I keep waiting, I think I’ll be waiting forever. There is no perfect time, no perfect moment, no perfect situation to pursue a dream. Sure, it can be scary. Leaps of faith don’t come with a safety net, but life doesn’t either! I can’t believe its Friday already – and February, too. When did that happen? But I am somewhat relieved. This has been a crazy week! Exciting…but crazy. I don’t think things will slow down in the next few weeks, so I’m buckling up for a bumpy ride! 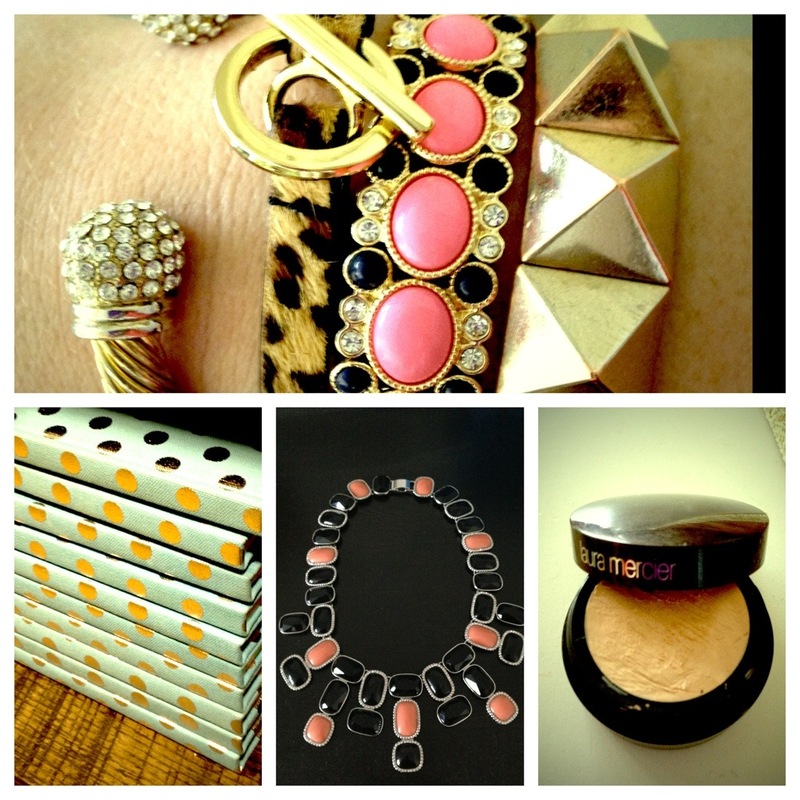 In honor of the end of the work week, I thought I’d share a few of my favorite things that have made this week a little happier and brighter! Cheers to an exciting, fun weekend ahead! It’s five o’clock somewhere, right? Phew. Life has been a tad challenging, a smidgen stressful and a whole lot of crazy as of late. We’ve all been there, right? I’ve been thrown a few curve balls in the last two weeks, all of which I were completely unprepared and, honestly, unequipped for. Now, none of said curve balls are necessarily bad, just very, very surprising, different…and full of possibilities. There is a ton of indecision surrounding said curve balls and I’ve spent the last few weeks enduring a series of bad news and good news; back and forth; up and down. So much so that I can’t help but feel like my life is mysteriously attached to a yo-yo string. Let’s hope its one fabulous yo-yo! 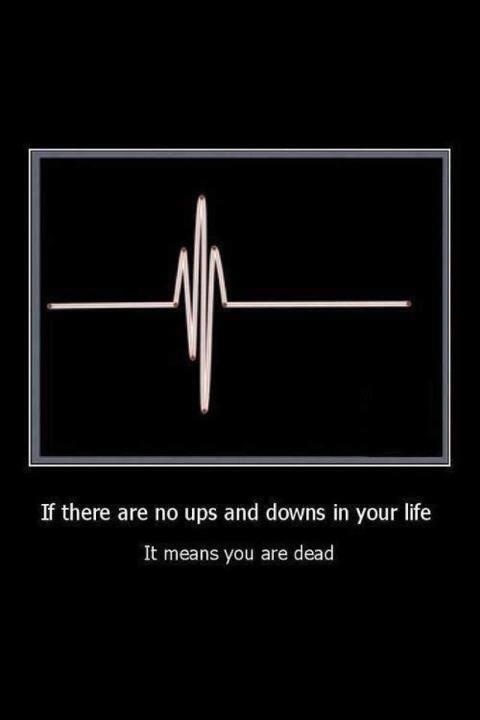 I’m doing my best to remind myself life is really just a series of ups and downs and only I can control how long the highs and lows last. And, at the end of the day, the not so good helps you appreciate any good that much more. In reality, the things I am dealing with pale in comparison to those that many other people deal with on a daily basis. I know many more challenging things await, but I couldn’t help but chuckle at this quote. How obvious, yet powerful. While 2012 was a great year, I am hoping for even bigger and better things in 2013 by improving my perspective a bit. 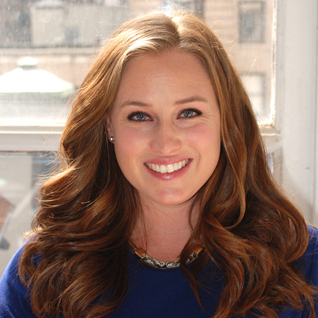 What better way to kick off the week than with some insight from those experts out there? Instead of New Year’s resolutions, I am committed to making some New Year’s actions. Step one? 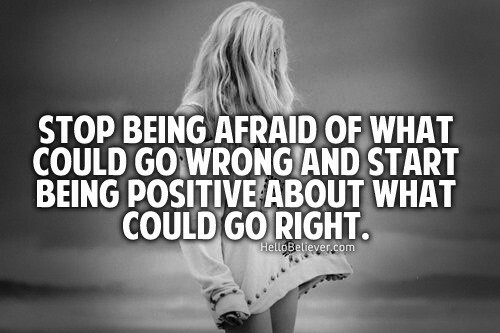 Focus on positivity and possibilities. I don’t know about you, but I tend to be an incredibly analytical person. I tackle any decision by reviewing every potential outcome, which doesn’t sound too crazy. But, I’ve started to notice that by doing so, I tend to focus a bit too much on the potential bad outcomes which can be incredibly limiting and sometimes even lead to self-fulfilling prophecies of the negative variety. I’m going to do my best to approach decisions, big and small, with a more open mind and a more positive perspective. I’ve also come to realize that at the end of the day, we have very little control over our own lives. We just have to do our best to buckle up and enjoy the ride, wherever it takes us! So, the way I see it, 2013 hold the potential to be an entire year full of things that could go really, really right! Cozy Scarves: Like it. Love it. Buying it. Spending the week in Florida for the Thanksgiving holiday, I’m enjoying the refuge from the DC cold. Yesterday, it was 65 degrees out and as I embarked for a quick run in my tank top, I noted all of the Floridians bundled up in their gloves, headwarmers and fluorescent windbreakers. 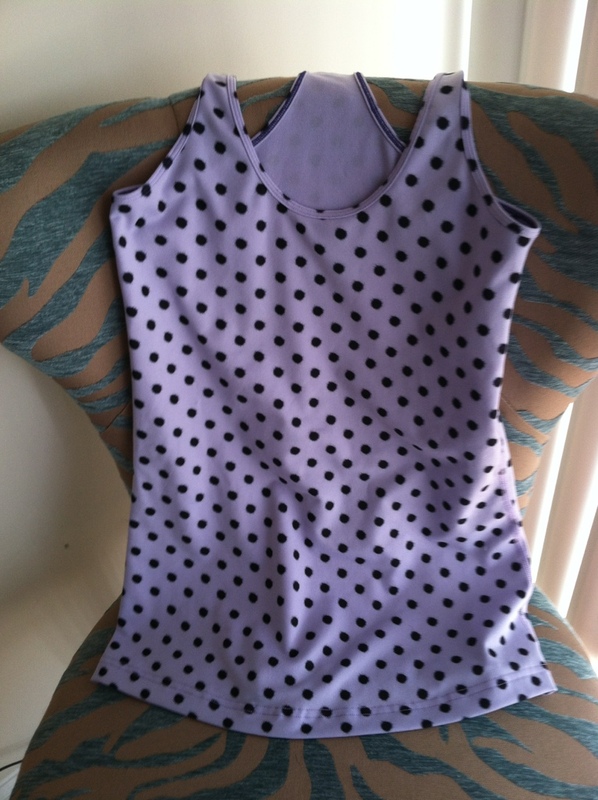 And, of course, they all looked at me like the crazy person since I was in the tank top. As much as I love these milder temperatures, I do miss some of my warm weather accessories, namely scarves. I have what some might refer to as a scarf addiction. I just can’t help myself. Scarves go with any outfit, add color, pattern or texture to a neutral outfit and just look so darn fabulous. Most of my scarves are light or mid-weight, which are great for Spring, Fall and really chilly work environments. As large as my scarf selection is, I need to add a few heavy weight options to keep warm during the winter months. Every woman needs a chunky knit scarf. They are the warmest, most versatile pieces and completely necessary for walking the city blocks in the winter. I purchased a violet version from J. Crew last winter and it was one of my favorite purchases. Unfortunately, I’ve lost said purchase, which explains my need for a new one! 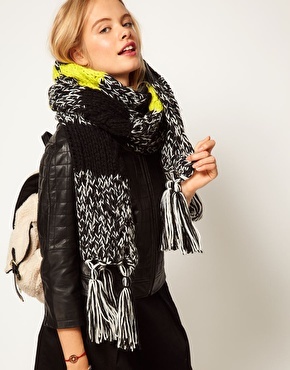 I am ob.sess.ing over this scarf from Madewell. 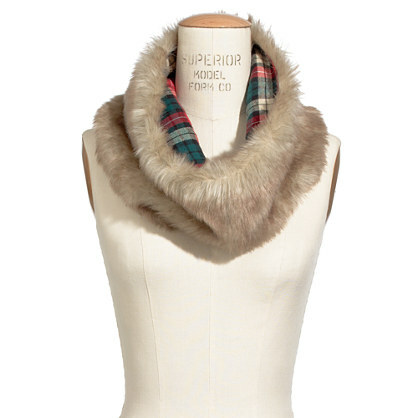 The faux fur and flannel lining is such an unlikely, yet flawless combination. It looks so cozy and absolutely glamorous at the same time. 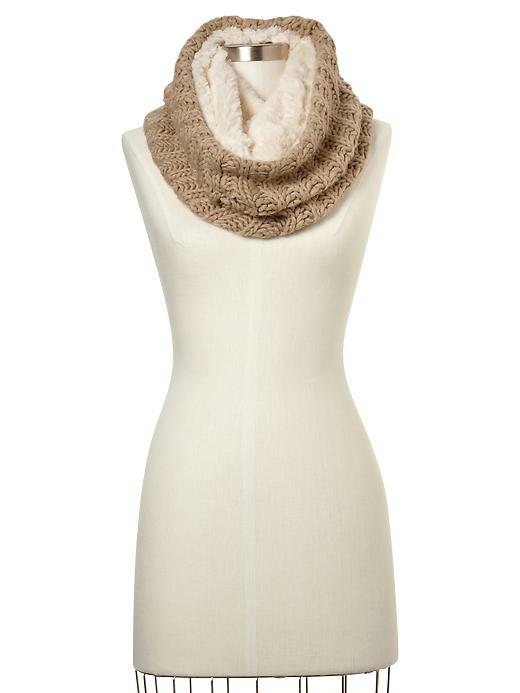 With a heavy knit with a fur lining, this Gap infinity scarf is ideal for keeping out the winter chill. The camel color will go with pretty much anything and is one of my favorite colors. However, it also comes in black if that is more your style! Someone asked me to help them find the perfect black crossbody purse. Not too big, not too small, just the right size – and less than $100. Challenge, taken! Aldo is a no-brainer for shoes, but the store carries some excellent accessories, such as this crossbody purse. J. Crew recently relaunched their Factory store website. I own this purse in a gold glitter and its the perfect size for a few essentials for a night out. I love this Banana Republic option. Quilted fabrics are a must for the winter season and the shape is really similar to the Michael Kors version, which happens to be twice as expensive. Urban Outfitters never fails to disappoint! You can’t beat the price of the two bags below and they both received good reviews from purchasers. Keep in mind, the second option is incredibly small and wouldn’t fit more than a phone, a credit card or two and maybe a small lip gloss. Perfect for going out on the town, but it is definitely not an everyday bag. I’m running a marathon in, gasp, TWO DAYS. Hopefully, this time Sunday I’ll be close to the half way point, with only 13.1 miles to go! Woohoo! Also, I’m crossing my fingers that Hurricane Sandy doesn’t crash this party. While I understand that rain won’t kill me, I’d really prefer to not spend more than four hours soaking wet and running. Isn’t the running punishment enough? Geesh! However, what will be will be, so if Sandy decides to show up, I will embrace her with open arms, keep calm and run on. In case any of you readers are contemplating conquering a marathon, or perhaps even running this weekend too, I thought I’d provide a quick rundown of the essentials. 1) The cardinal rule of marathon racing: Don’t do anything differently on race day than you’ve done in training. If you’ve always eaten a Clif bar before training, eat one before your marathon. Consistently chowed down on sport beans mid-run? Don’t quit now – keep it up on race day. Think you need new shoes the day before the race? No, you don’t. Keep everything the same as your training run and you won’t have any unwelcome surprises or shocks to your body. 2) Comfortable, breathable, moisture-wicking clothing. I am typically outfitted in all Lululemon clothing because it is the most comfortable and the fabric is made to wick away moisture. For Sunday, rain is probable and sweating, no matter how much of a chill there is in there, is a definite. Buy a cheap sweatshirt or long sleeve shirt for the time you’ll spend waiting for the start and then you can ditch it once you start running. All excess clothing collected along the race course is donated, so you can even feel good about yourself! If it is raining, a garbage bag with a hole for your head and arms will do the trick to keep you somewhat dry while waiting around. Gloves and hats are also good to have on hand to keep you warm. 3) Hydaration. I’ve tried all types of hydration options and always come back to the water belt. Sure, it looks like a fanny pack on steriods. But guess what, we don’t decide to run marathons to look good. Staying hydrated is essential, so go with the option that works best for you. 4) Put your name on your shirt. Each year I’ve run, I buy iron-on letters and put them on my Team in Training jersey. As a result, I have a personal cheersquad thousands strong helping me every inch of the way to the finish. I imagine this might be what was like for Oprah to run her marathon, minus the bodyguards, billions of dollars and media empire. 5) A really great attitude. Remember, you don’t sign up for a marathon because it is easy. You sign up for a challenge. You sign up to remind yourself just what you are capable of, and, in the case of the Marine Corps Marathon, you sign up so that you can respect those people who have exerienced much more pain during their time in service than the pain of running 26.2 miles. Running a marathon is something that very few people will achieve in their life, so congratulate yourself for your determination, perseverance and soon to be accomplishment. Remind yourself to enjoy every step, every stride and every mile because let’s face it, it very well could be a once in a lifetime experience! I like to keep this blog light. This is a place for commentary on fashion, beauty, weddings, events and other things that inspire me. I steer clear of political commentary, despite my geographical location and the fact this is an election year. There is more than enough heavy stuff out there in this world that it is far too easy to get weighed down in the muck and forget all the beauty that surrounds us. However, on a day like today, September 11th, it is impossible to write about pencil skirts, polka dots or other pretty, but trivial things. I remember, 11 years ago, sitting in Mr. Peterson’s history class, ironically enough, learning about past events that defined our country. The teacher next door rushed into the room, frantically yelling that the World Trade Center had been bombed. Thinking this teacher must be misinformed, Mr. Peterson flipped on the classroom’s television only to find out that this teacher was in fact, misinformed. The World Trade Center had been hit by a plane. About 30 seconds later, we watched as a plane careened into the second tower. We will never forget the events of September 11, 2001. A date defined by pain, hurt and loss. It was a day that changed the city of New York, and America, forever. More than a decade later, there are still no words to heal the pain, lessen the hurt or explain the loss. There are no words, but there are actions. We returned acts of terror with acts of bravery, courage and faith. We came together, united as one nation founded on the principles of life, liberty and the pursuit of happiness. We cried, mourned and endured together. On September 11, 2001, we experienced evil, but Americans retaliated with good. We were reminded of the fragility and importance of life. 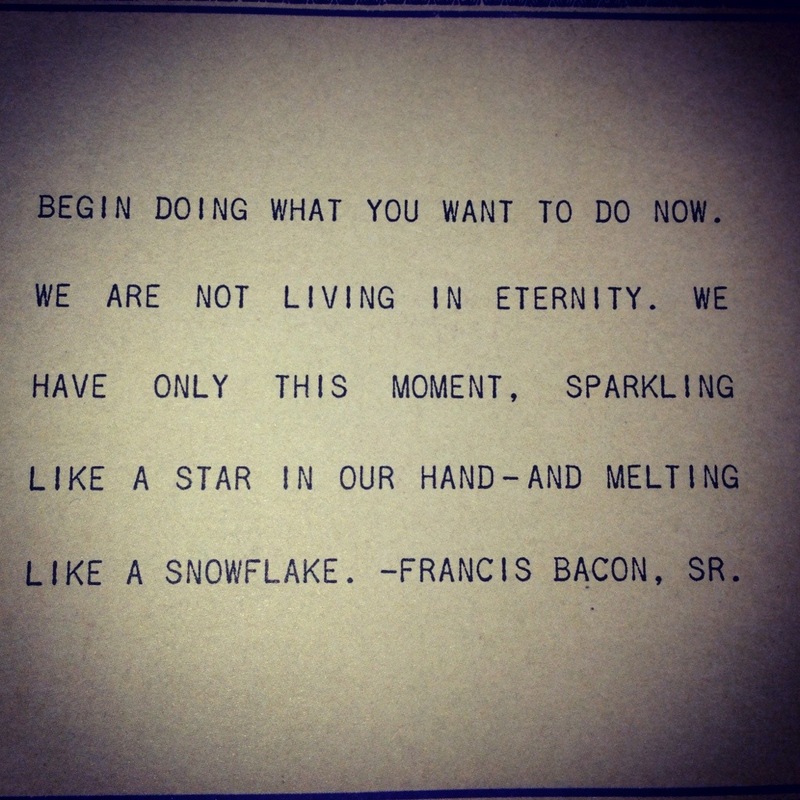 We can take no moment, no day and no life for granted. We must live with conviction and love and without prejudice. We must never forget so that such a tragedy never happens again.